ACP Now! » About ACP ACP Now! We're happy and grateful to announce ACP is one of 45 Atlanta-area organizations to be a grantee recipient of Bloomberg Philanthropies' Arts Innovation and Management (AIM) program. "The invitation-only program seeks to strengthen the organizational capacity and programming of small and mid-size cultural organizations within Atlanta, Austin, Baltimore, Denver, New Orleans, Pittsburgh and Washington, D.C. 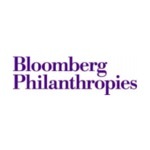 Through the $43 million multi-year initiative, Bloomberg Philanthropies will provide unrestricted general operating support as well as arts management training in areas that include fundraising, strategic planning, marketing and board development." "We are so proud to be among the organizations in Atlanta selected for the Bloomberg Philanthropies Arts Innovation and Management program. This generous financial support, coupled with intensive training over the course of 2 years, will make all recipient organizations stronger and better able to serve our communities." 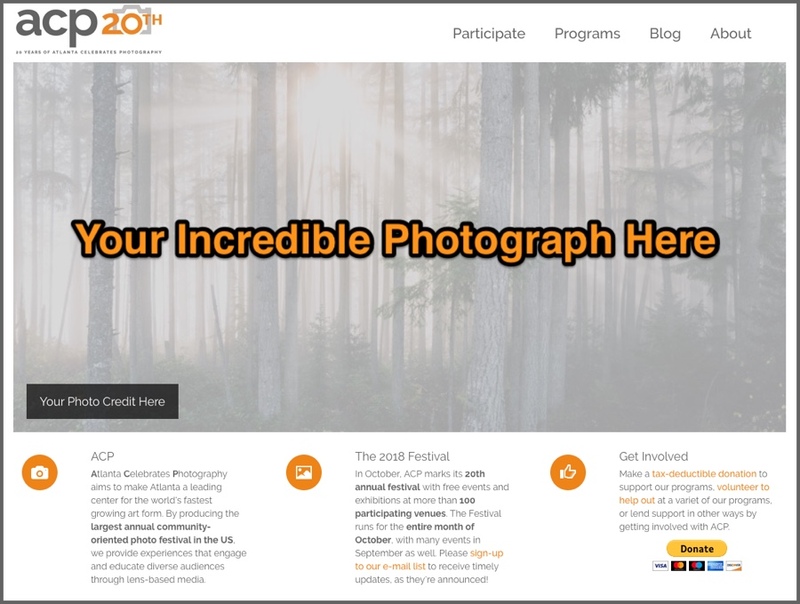 ACP has spent the last 20 years working to be a helpful resource for Georgia photographers and photo-related businesses, and we are rabid fans of the incredible photographic talent in our community. 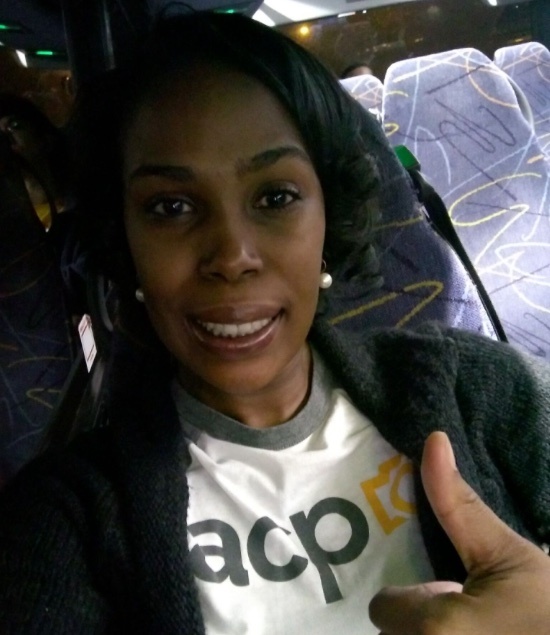 Over the years, we've amassed an archive of photographs documenting ACP events and programs, and while they're good pictures, these images don’t convey the breadth and quality of talent in our area. To remedy this, we’d really like to showcase YOUR photographs, on the ACPinfo.org homepage, for example. 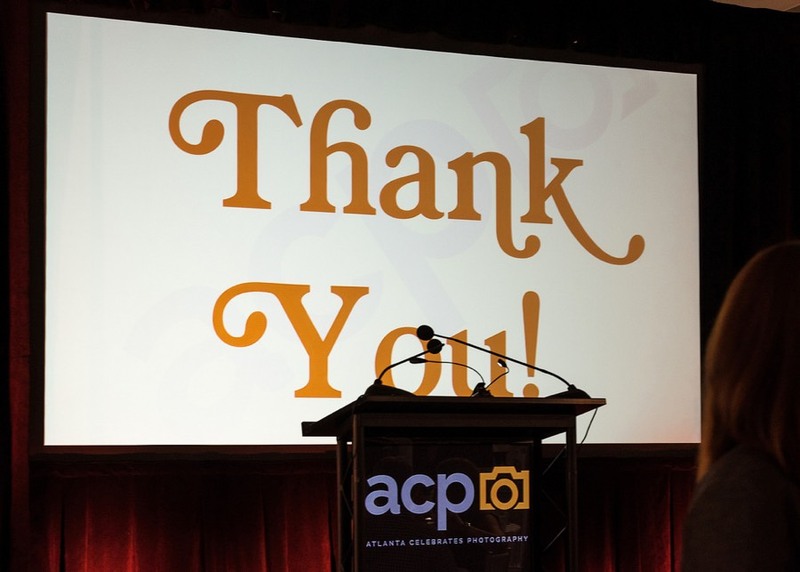 With over 30,000 people visiting our site annually, we want to make sure they see your work in addition to pictures of people enjoying and attending ACP programs! 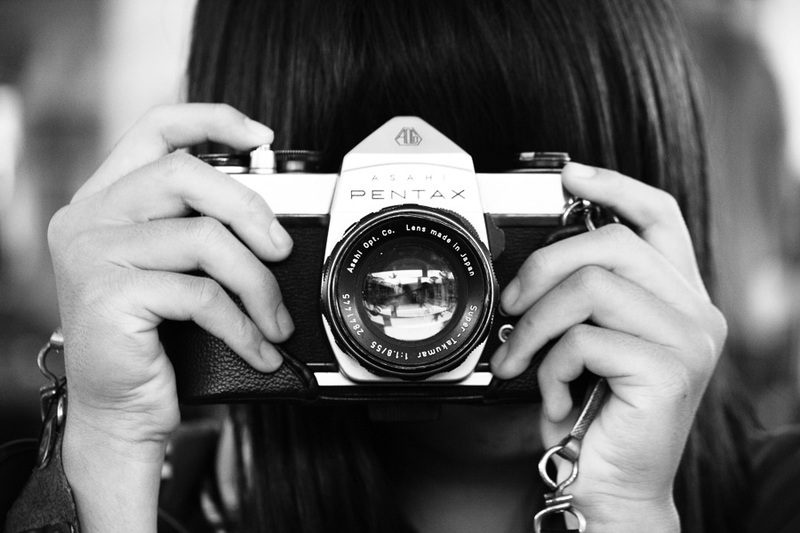 Of course, you will be given proper photo credit, and we will even link to your site. Rest assured we will never use your image in any commercial (for profit) context. ACP is 20 years old this year! As one does on a major birthday, we're feeling a little reflective. We want to know how we can be better. How can we serve YOU better and design programs in direct response to your needs. We want to know what you like, and what you don’t. 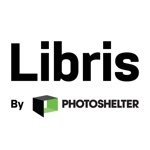 Photography is important to you, and you are important to us, so PLEASE take this opportunity to help build a better photo festival, one that you will love for the next 20 years. Support ACP on Georgia Gives Day, Nov. 28, for #givingtuesday! Tuesday, Nov. 28th is Georgia Gives Day! Support ACP's programming by making a contribution on Georgia Gives Day, and help make a difference! "Atlanta Celebrates Photography (ACP) produces the largest annual, community-oriented photography festival in the USA. Whether it's through photojournalism, fine art, or Instagram, photography is the most powerful storyteller of our era. Through exploring the possibilities of this fastest growing art form, ACP engages diverse audiences, promotes venues and supports the work of almost 1000 photographers, local and abroad. Join us as we explore the dynamic spaces where photography intersects with contemporary life and culture!" 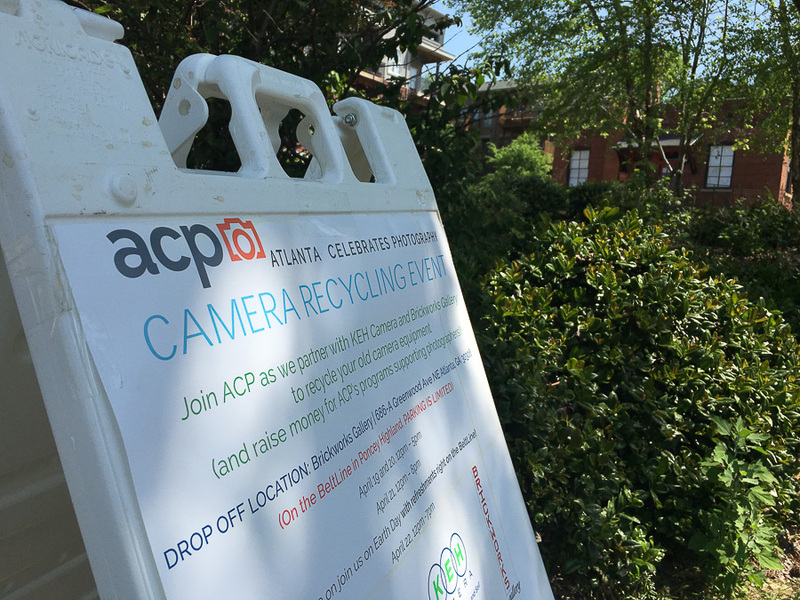 "ACP is dedicated to enriching the Atlanta community with photography of all kinds, from fine art to documentary. We realize in our passion to spread the love of photography and the powerful messages it can convey, it is important to provide context and choose venues with thought and care. We missed the mark with the way our Georgia Fence project on the BeltLine’s Westside Trail was introduced to the community and want to apologize to the community and to the photographer. The work in question depicts a wonderful program that introduces dogs to inmates in the Fulton County Jail. The program is designed to benefit both the animals, who are from shelters, and the inmates, who build confidence and viable job skills. ACP is a diverse organization with events and exhibits that celebrate many different ethnic and cultural communities. When we get it right, we bring people together. We look forward to continuing the conversation with all members of our community and will always strive to be a positive force for bringing people together through art and the dialogue it can create." Our Board Members Are Getting Nervous! Our Board members are getting nervous! We have until MIDNIGHT to raise $200. Help us get over the top and double every gift we have received! Your donation helps ACP raise the necessary funds to produce our impactful programming that educates and engages diverse audiences. Thank you to everyone, including all those new donors, who have helped us get so close! Don't stop now! PS: Our Advisory Board has personally pledged $50 for every NEW donor we get during this campaign! Tell your friends and neighbors. New donors can turn $1 into $51 with a few simple clicks! Reminder: Recycle Your Camera on Earth Day! 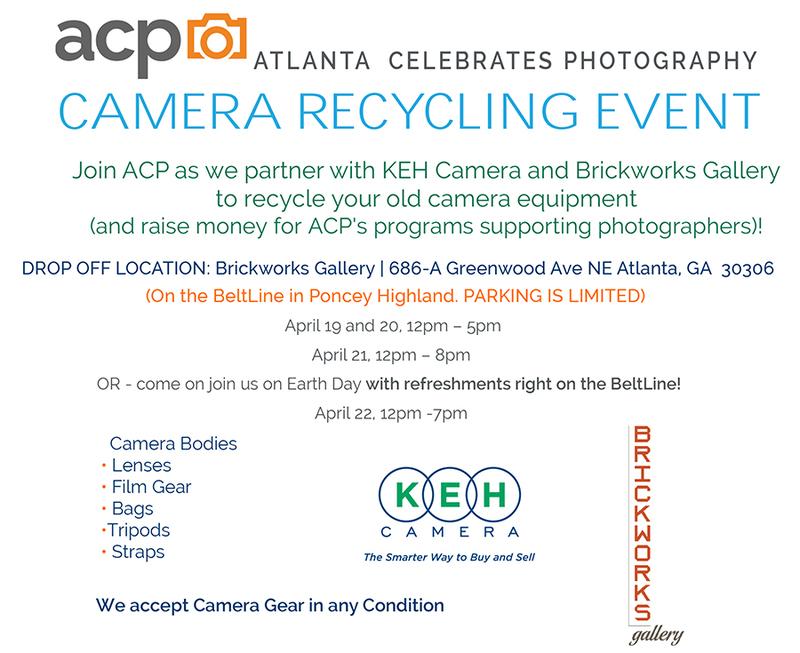 A quick reminder that we'll be hosting a camera recycling event on Earth Day with our friends at Brickworks Gallery & KEH. It's right on the Beltline's Eastside Trail! Here are three quick photos for reference, a map, and our flyer. Open Friday, 12-8pm, and Saturday, Earth Day from 12-7pm! 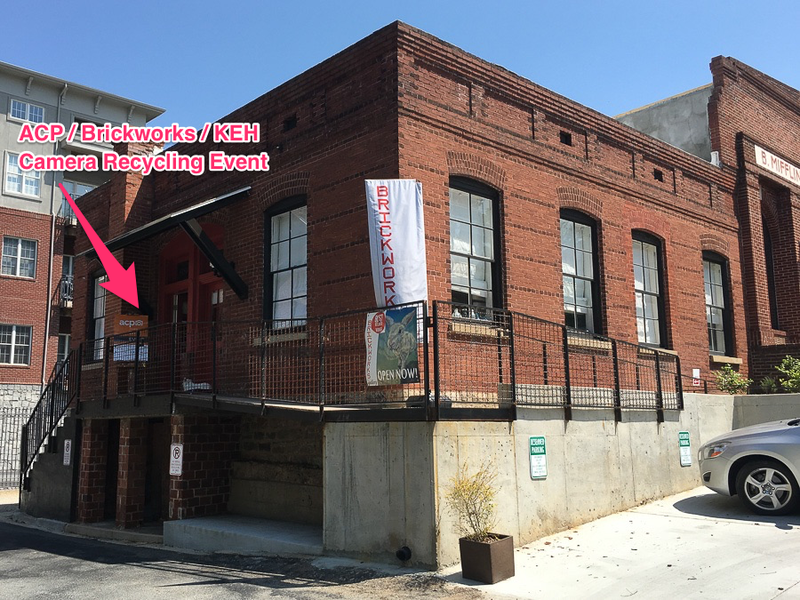 Here's a link to the map for Brickworks Gallery. 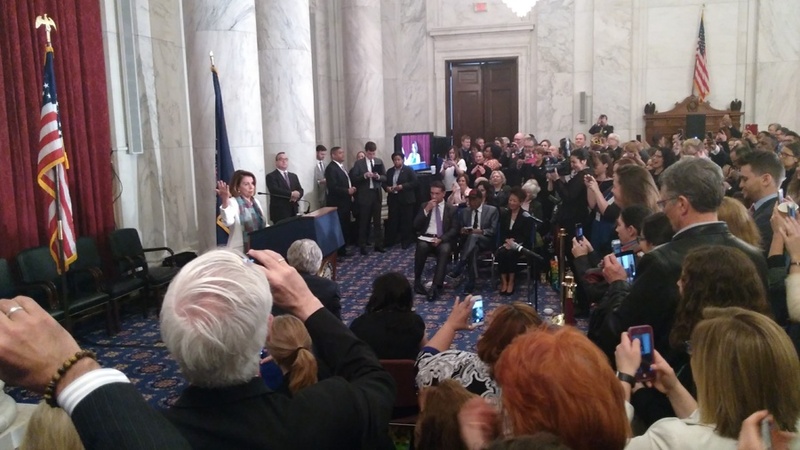 Arts Advocacy Day was this week, and it was great to see so many from the non-profit community across the country standing-up for the arts. Organizations converged on the offices of lawmakers in Washington, D.C. to make the case for government support of the arts; the gathering was planned long before the President’s proposed budget (and its gutting of the National Endowment for the Arts (NEA), National Endowment for the Humanities, and more) was announced. 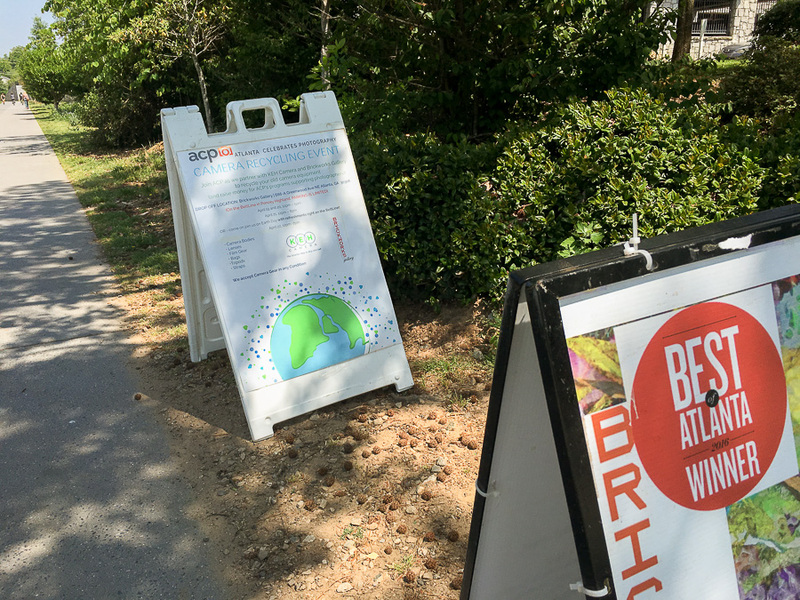 If you wonder how the proposed budget affects the arts here in Atlanta, consider that Art on the Beltline has received support from the NEA, and we’ve worked with Art on the Beltline for the last three years to bring THE FENCE to the Eastside Trail. Georgia Council for the Arts (GCA) is reliant on funding from the National Endowment for the Arts, and from there, distributes grants to arts non-profits (like ACP) across Georgia. For a recent example, GCA supported the publication of the photography/poetry anthology of Georgia photographers & poets last year: Inspired Georgia. 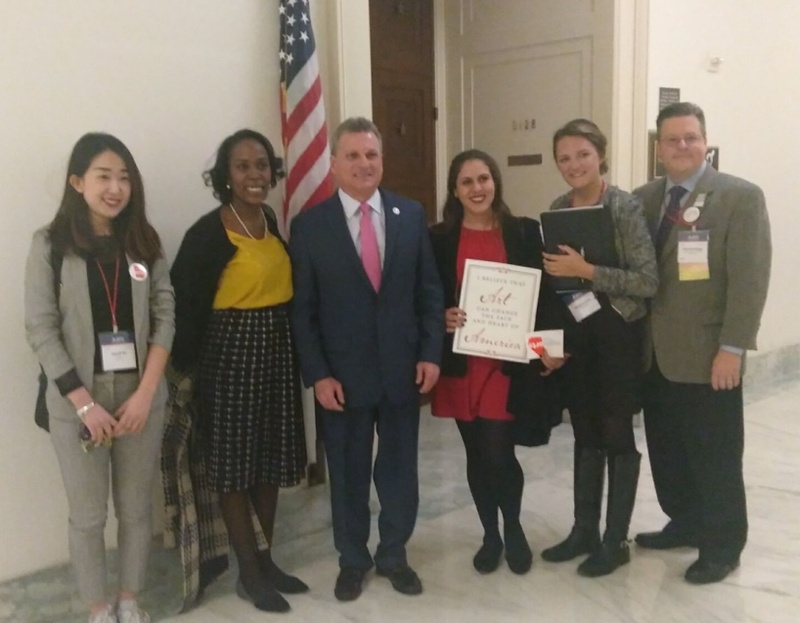 "“This year’s Americans for the Arts “30th Arts Advocacy Day” couldn’t have come at a more necessary time. It took place shortly after President Trump proposed his budget which included a proposal to eliminate the entire budget for the National Endowment for the Arts. As a Board Member with Georgia Arts Network (which is Georgia’s State Arts Action Network) I understood that now more than ever our advocacy efforts were needed. This would be my first time attending AAD and it couldn’t be a more exciting time to go. About 50 of us who sit on State Arts Action Networks throughout the US convened in Washington D.C. on Sunday. The day was filled with intense advocacy training including legislative updates, state of the state reporting, crafting our messaging, scheduling congressional visits with our local congressmen and much more. The climate among fellow advocates ranged from enthusiastic, to emotionally challenging, and at times uneasy uncertainty about our challenge. Monday, we were joined by 600+ individuals from across the US to engage in more conversations, presentations, workshops and breakout sessions. The evening ended with an outstanding lecture by Darren Walker, president of the Ford Foundation. Tuesday arrived and it was time. A town hall rally in the Senate House became a turning point for me. I had no idea that we would be in the company of former Speaker of the House Nancy Pelosi, Alaskan Senator Lisa Merkowski, and Congressman John Lewis, District 5 Representative from Atlanta. Eleven of us came from Georgia; we represented 8 GA districts and together we met with 14 GA district representatives. My most anticipated meeting of the day was with Seema Ibrahim, assistant to my Congressman, David Scott, of District 13. My message was simple; “the NEA is in jeopardy of being eliminated, I am here from GA and I am a resident in your district. I need your support in advocating for continued funding for the NEA”. "Being in Atlanta, we are lucky to be the beneficiaries of robust arts agencies like the FCAC and The Mayor’s OCA. Those agencies, overlaid with GCA, makes for a truly robust arts community. In places around the state that may not have thriving municipal arts councils, the GCA’s grants are even more important to the cultural ecosystem. I look at it this way: Georgia’s businesses are why we need to live here?—?they enrich our networks and our wallets. Georgia’s beauty is why we like living here?—?it enriches our state of being. Georgia’s arts and culture offerings are why we thrive here?—?they enrich our hearts and minds. ACP 2016 is our biggest year yet. To kick it all off, we have a brand new look and logo! We hope you like it. We certainly do – it encapsulates the friendly, professional, bold and inviting nature of our organization. Take a look at our refreshed site while you're at it! Many thanks to our friends at Look Listen.